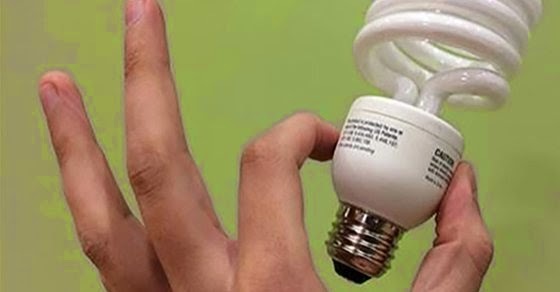 In an effort to save energy and money, many people have begun to replace their old standard light bulbs with environmentally friendly energy saving light bulbs. But, did you know that these new light bulbs are so toxic that the environmental protection agency created an emergency protocol in the event that you break one. Mercury is an extremely potent neurotoxin that is especially dangerous to children and women who are pregnant. It is especially toxic for the brain, the nervous system, liver, and kidneys. The cardiovascular, immune, and reproductive systems are also at risk; eventually leading to tremors, anxiety, insomnia, headaches, and Alzheimer’s. They have potentially harmful cancer causing ingredients such as phenol which is mildly acidic toxic white crystalline solid obtained from tar, and used in chemical manufacturing, Naphthalene which is a volatile crystalline compound produced by the distillation of coal tar, and styrene which is a petroleum byproduct. It is also important to remember that they emit a lot of UV rays, energy saving lamps emit UV-B and traces of UV-C radiation. UV radiation is harmful for the skin and eyes; the radiation from the bulbs directly attacks the immune system. So my suggestion is to go back to incandescent bulbs and save yourself a lot of troubles! Please Share the Knowledge !